Product prices and availability are accurate as of 2019-04-15 16:19:53 EDT and are subject to change. Any price and availability information displayed on http://www.amazon.com/ at the time of purchase will apply to the purchase of this product. D-Link’s DNS-320 ShareCenter 2-Bay Network Storage device is the cost-effective way to store and share documents, music, videos, and photos with anyone on your network. The DNS-320 allows you to insert your own disk drives and can support up to 4TB of storage capacity. Equipped with four different hard drive modes, Jumbo Frames support, Gigabit connectivity, a variety of built-in servers like a USB Print server, Peer-to-Peer downloader, UPnP AV media servers, FTP and Web File server, and an easy to use management interface, the DNS-320, is an affordable and reliable storage solution perfect for any home network. 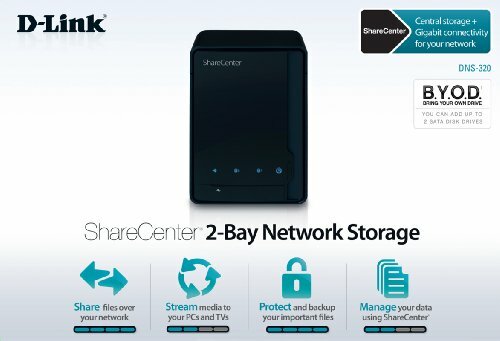 With shared storage serving as an essential element in today's digital home, the D-Link ShareCenter DNS-320 2-bay network-attached storage (NAS) device enables you to easily share documents, files, and digital media with everyone on your home network. The expandable DNS-320 allows you to add up to two 2 TB SATA drives (for 4 TB of total storage*), offering plenty of space to store tons of digital photos, thousands of hours of digital music, or hundreds of DVD-quality movies. And adding a drive is a breeze with the D-Link tool-less design. The front of the DNS-320 with USB port (see larger image). The rear of the DNS-320 with Ethernet port (see larger image). Whether streaming movies, sharing files, or storing video from a network camera, D-Link ShareCenter storage solutions are designed to let you work, play, and share from any room in the home or from a remote location over the Internet. A complementary piece to D-Link's digital home solutions, you can utilize ShareCenter products for a number of applications--whether it's connecting directly to the wireless router, storing video from mydlink-enabled IP cameras, or streaming video to your TV using the Boxee Box by D-Link. Using the USB port in the DNS-320, you can share a single printer among all of the computers in a household over the network. Additionally, you can automatically download content from the web without powering on a PC with the integrated Peer-to-Peer Downloader or access files at top speeds without bottlenecking with the Gigabit Ethernet port. The DNS-320 includes its own internal 800 MHz processor, a simplified interface, and software for finding and managing files. Its rugged, compact design makes for easy desktop placement. And it includes both AFP and Time Machine support for Mac users. The DNS-325 model includes a faster internal processor plus support for specialized server apps. 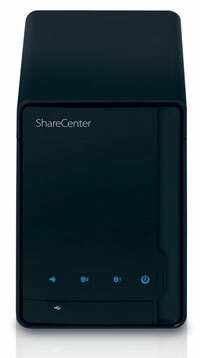 See a comparison of the two ShareCenter devices. One of the best things about this ShareCenter device is that it comes without built-in hard drives. That means added flexibility and reduced strain on your wallet. 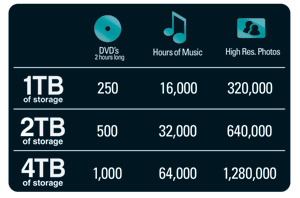 Rather than being handed any old hard drive, you're free to hand pick the one that is the best fit for you. Choose the size. Choose the brand. Search for the best deal. Buy one. Buy two. The DNS-320 has two bays that can hold two SATA hard drives with up to a total of 4 TB of storage (2 TB per hard drive). Keeping all of your important files on your computer without backing them up is like owning a house and not insuring it. It's important to back up your files so if the unexpected happens, you still have a backup in place. 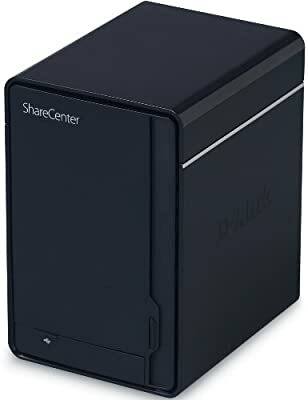 When used with two hard drives, this 2-bay ShareCenter device allows you to back up files in full or incremental backups and comes with four different hard drive modes so you can best configure it to your needs. 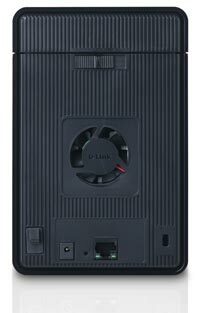 RAID 0 provides faster speeds by combining both drives in a striped configuration, which means data is distributed across both drives in the enclosure. RAID 1** causes the drives to mirror each other, providing maximum protection. If one drive fails while configured as RAID 1, the unaffected drive continues to function like a single drive until the failed one is replaced. 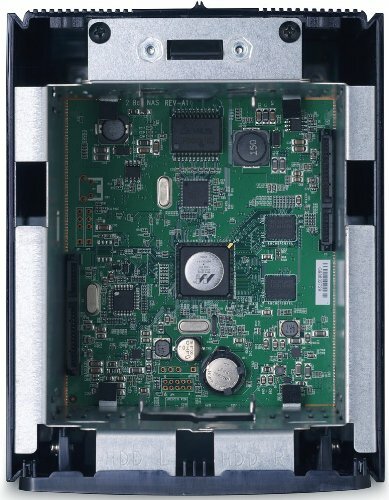 When a new drive is inserted, it's restored--returning full protection to both drives. In addition to content back-up and RAID support for data protection, the DNS-320 also features remote access to files through a built-in web file server app and FTP server. With the included remote backup application, you can easily backup content to a second storage device at another location to protect against data loss in the event of a catastrophe. This ShareCenter device comes with a 10/100/1000 Gigabit Ethernet port, giving you blazing fast speeds so you can back up and access your stuff without the wait. How Do I Insert Drives Into My ShareCenter Device? * Hard drive(s) not included. An internal SATA drive is required to store or share your files; drive must be formatted before use. ** RAID 1 mirroring requires the use of two (2) internal SATA drives. To avoid data incompatibility in RAID 1 operation, use SATA drives from the same manufacturer. Formatted drive capacity for RAID 1 operation is dependent on the drive capacity of the lowest-sized drive. May not work with older generation SATA drives.